Tickets for any performance can be purchased online. Simply choose a show and performance date. There is a non-refundable $3.00 per ticket service charge for online ticketing and a $3.00 fee for orders being mailed. Fee is not applicable on group reservations or season memberships. Fees cannot be refunded. Copyright © 2019. 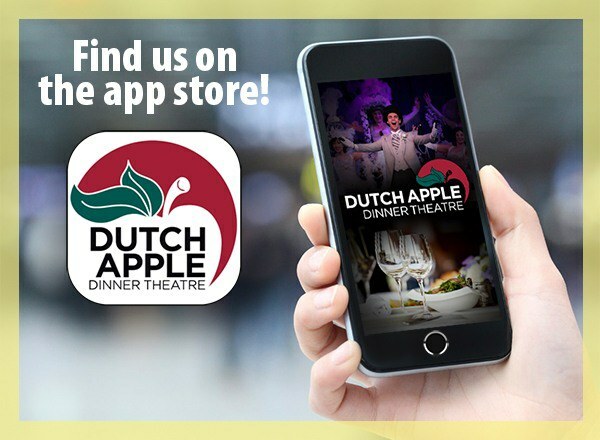 Dutch Apple Dinner Theatre. All Rights Reserved.